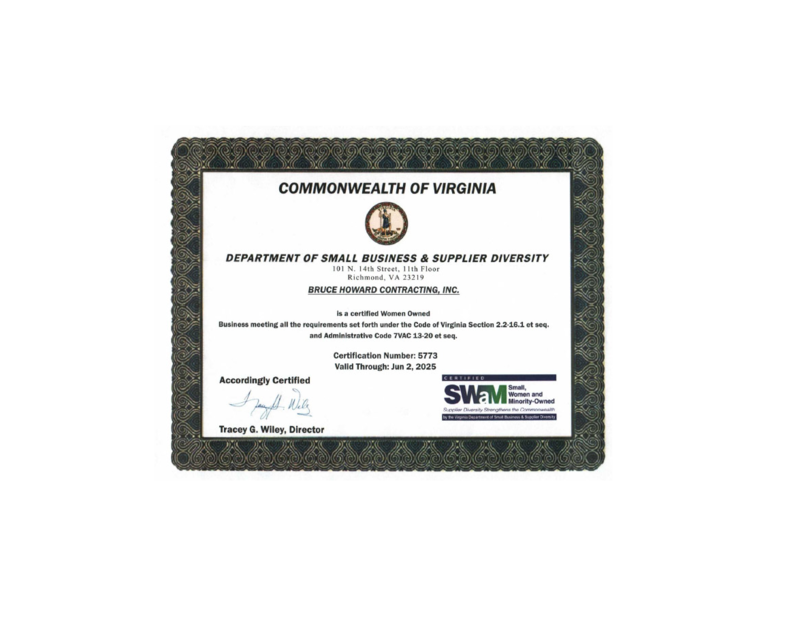 Bruce Howard Contracting is licensed and insured to work as your contractor in Virginia, Maryland, North Carolina, and West Virginia. 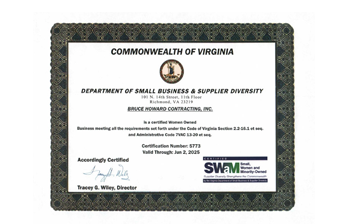 Bruce Howard Contracting is certified through the Department of Minority Business Enterprise as a small, woman-owned business (SWaM). 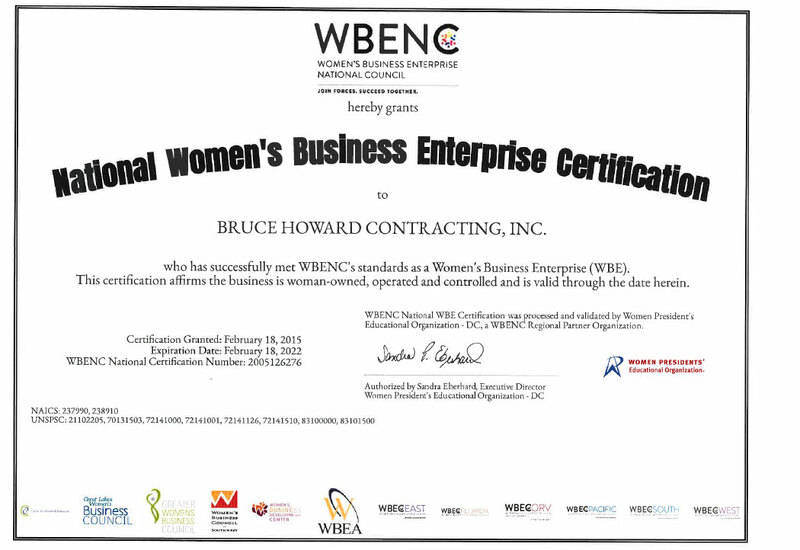 We are also certified through the Women’s Business Enterprise National Council (WBENC) as a Women-Owned Small Business (WOSB). As our company has grown, our people have grown along with us. 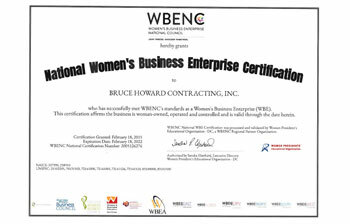 Many of our employees have been with us since we started. “We can honestly say our most valuable resource is our people.” Our crews, laborers, equipment operators, foremen, mechanics, surveyors, engineers, project managers, and office staff work together to make our company the success that it is today. 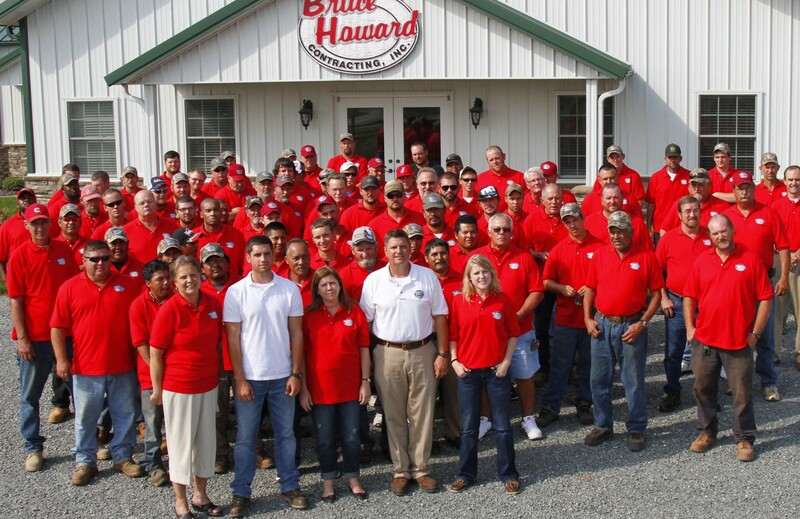 Bruce Howard Contracting employs over 130 people who are dedicated to our company mission, and who perform the quality work that makes the projects we undertake a success for our clients.